Queensryche have shared a lyric video for their new single titled Dark Reverie. The song follows Man The Machine which launched in November last year – with both tracks taken from the band’s upcoming studio album The Verdict. It’ll be released on March 1 via Century Media Records and is their first album since 2015’s Condition Human. Vocalist Todd La Torre previously said he was extremely proud of the new record, and added: “The relentless dedication and hard work of everyone involved has been very rewarding. 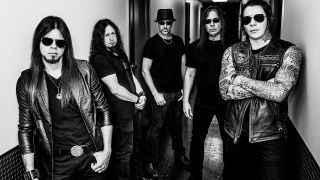 Queensryche will return to the road from next month for a run of dates across the US before they head over to Europe for a handful of festival shows in the summer.